Civil servants in Ondo State will have access to N500 million housing loans in the year 2019, the Head of Service (HOS), Barr. Toyin Akinkuotu has disclosed. Akinkuotu assured civil servants in the state of better welfare in the fiscal year, promising that the housing loans would be jerked up as soon as the state’s revenue increases. 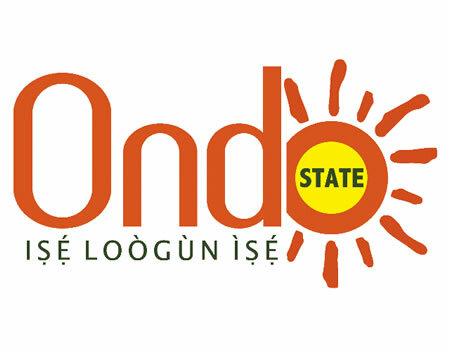 Akinkuotu who spoke during the 2019 budget defence at the Ondo State House of Assembly, specifically assured workers of better salary, regular promotion and other good things of life. The HOS also hinted that the housing loans for civil servants in the state have been increased to about N500m this year, saying there is possibility of increasing it as the revenue of the state increases. This is coming as the Commissioner for Education, Science and Technology, Femi Agagu; his counterpart in the Ministry of Natural Resources, Rasheed Badmus; Special Adviser to the governor on Transport, Tobi Ogunleye, his counterpart on Public Utilities, Engr. Tunji-light Ariyomo and the Civil Service Commission Chairman, Dr. Afolabi Adewakun, promised many goodies for the people of the state in the financial year. Agagu, while reeling out the good plans of government to further improve the standard of education in the fiscal year, noted that apart from the new 300 schools advertised for construction by SUBEB this year, many more projects would be executed by the ministry and other boards and parastatals under the Ministry. On his part, Badmus who spoke through the Permanent Secretary in the Ministry, Alhaji Lateef Fabunmi disclosed that as a major revenue generating ministry, efforts would be made to meet and surpass its target in the fiscal year to improve the economy of the state. Also, Ogunleye, disclosed that good foundation had already been laid in the transport sector, and that the passengers’ security welfare scheme for the land transporters would be extended to passengers on water this year. Ogunleye who pointed out that by the time the project takes off, no fewer than 200 people would be employed, also added that to further ensure security of lives and property of passengers in the state, top-light on all the taxis would be made a priority for the benefit of all. Also speaking, Engr. Tunji-light Ariyomo, noted that government has succeeded in securing the first tranche of its urban water financing to the tune of five million US dollars to be able to cater for the needs of the people of the state. The Chairman, Civil Service Commission, Dr. Afolabi Adewakun, promised to ensure that civil servants enjoy more this year in terms of production among other important areas. They all commended the House Committee for being thorough and painstaking in scrutinising the budget proposal.